There's a chance not everyone has seen this video, so it is my duty to correct that. I've only seen it in college, but my 4-year-old boy's mind has already been blown by the video, and soon it will be his young sister's turn. The video was made 35 years ago, and unlike 35 year old movies with laughable special effects, this one is timeless (well, expect for the clothes the couple in the video wears. Obviously the '70s is the golden-age of fashion). 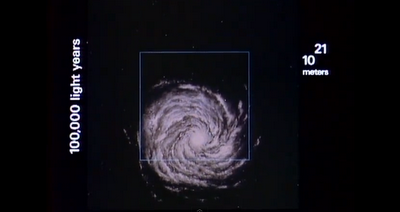 If your kids like space, this video will be the coolest thing they see today or this year. Don't wait for them to get to high school or to college, where a teacher will show them this video, and they will come home angry at you for depriving them of the experience and of a magical childhood. 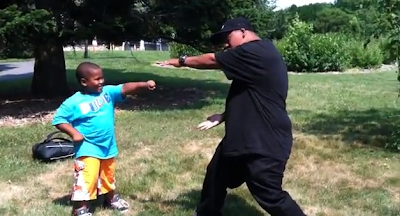 If you don't want your kids to hate you, show them this video. A couple of weeks ago we had a family movie night with Finding Nemo, and unlike our experience with Dumbo (my 4-year-old boy lasted an hour before complaining he didn't want to watch anymore), Brave (he lasted 20 minutes before crying that he wanted to leave the theater), and Cinderella ("I DON'T WANT TO WATCH IT!!!" during the opening credits), the family lasted the entire movie. Sure, we almost had to turn it off when the shark attacked, and then when the other shark attacked. And my son had to leave the room a few times later in the movie. But then the movie ended, and we all looked proudly at each other because we lasted a full Disney. And the movie was actually more fun than I'd remembered. When the hippie turtle says, "Whoa, Dude. Mister Turtle is my father," I actually laughed out loud. Or I laughed aloud? I laughed. I got an invite to watch a special screening of the 3D version of Finding Nemo before it was out in theaters, but that would have been pushing it a bit, so we sat this one out. 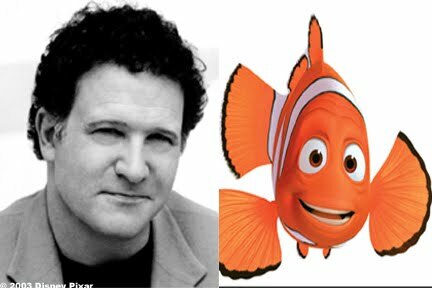 Until our kids are ready for a little more drama than a sneaky fox in their movies, I'll have to make do with this interview with Albert Brooks, who plays Marlin, Nemo's dad in the movie. The interview includes him reminiscing about his 4-year-old son escaping the premier (I'm not alone! ), and defending Marlin's paranoid behavior. There are two events I wanted to mention (or remind people about), and they're both coming up in October, which makes coming up with a title for this post a very easy thing. And I like easy. The 17th annual At-Home Dads convention is on October 6th in DC. There's still time to register and have the opportunity to meet other stay-at-home-dads from all over the country. Even tough I've been at home for over four years, this will be my first time attending, so I can't give my own impression of the event, but I'm sure it will be fun. Some of the dads from the Baltimore SAHD group will be there with me, so no matter what, at least I know I'll have a drinking buddy. One thing to note about the conference is that Huggies, yes, THAT Huggies, is one of the sponsors. According to the organizers of the conference, Huggies will also be providing diapers and wipes for needy families in the DC area. I was pro-Huggies when other blogging dads attacked the company for portraying dads as dumb stereotypes, then I was anti-Huggies when other blogging dads forgave them, because that's how I roll, and now I'm happy to say Huggies are definitely the good guys. Marketing and branding and stereotypes are all important, but sponsoring a stay-at-home-dads convention definitely shows Huggies is putting their money where their misguided stereotypes of dads used to be. All is forgiven, plus Huggies gets a free get-out-of-jail card. A week later, on October 13th, I will be participating in the Baltimore Running Festival. I've written about it before, so this is just a reminder that the Cure JM Foundation, which was started by Kevin from the Always Home and Uncool blog, and by his wife after their daughter was diagnosed with the disease, has a team running in the marathon. You can read more about the disease and about Kevin's daughter on his blog, where you can help by voting for the charity in the Chase Community Giving Facebook page (which means they might get a large grant from Chase). You can also go to my very own FirstGiving page, and donate to the charity directly from there. Some of the people who run on behalf of Cure JM will run the 5K, and some will run the full marathon. It's all very exciting, and I hope I can get more people to vote for the charity or to donate to the cause. Please, people. I wrote this song to celebrate all that being a father brings to me and to encourage those who aren’t in their children’s lives to get involved. Absentee fathers rob themselves of the joys of fatherhood. Be a father to your child TODAY!! Griffin's reaction to Levs' piece was predictable in a way, because--again, just looking at that face--you can tell the man's self-identity is determined upon his stereotypical image of himself and of other men. And in a way, we've come to expect that reaction from the media. Two years later, even as people like Drew Griffin will forever be trapped by their neanderthal views, a lot has changed in society and in the general view of fatherhood by society, which means a positive piece like the one below is slowly becoming the norm.